Milwaukee, Wisconsin. Clock Shadow Creamery was established in 2012 as an offshoot of Cedar Grove Cheese in Plain, Wisconsin. 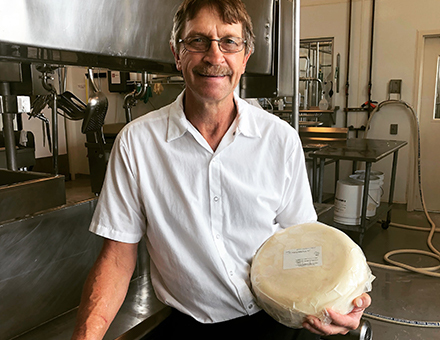 Clock Shadow Creamery makes fresh cheese, cheese curds and Quark, a German-style spreadable cheese, with environmentally responsible production techniques. In addition, the creamery makes special cheeses for local ethnic festivals and does custom production for area farmers. Making local "local" is the theme of Clock Shadow Creamery.